Today's guest comic is brought to you by up-and-comers Insert Life Here! I met one of their fellows at Connecticon and he was an extremely nice dude. 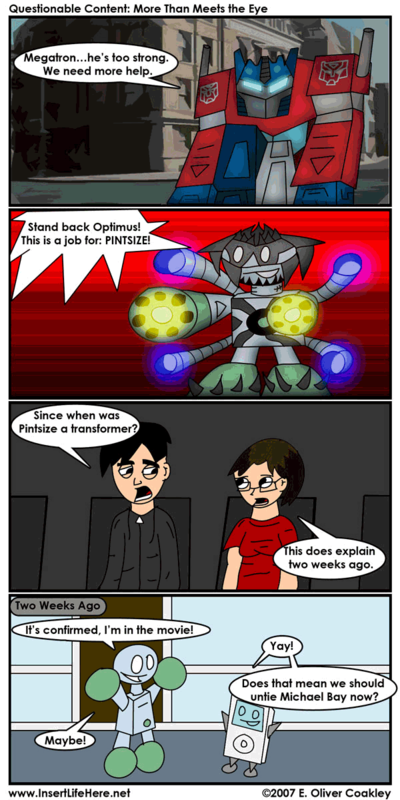 This makes two guest strips with Transformers references. Oh my goodness what a stupid, entertaining movie that was.